jp wargaming place: Rapid Fire! France 1940 in 20mm - A few extras to the French infantry. Rapid Fire! France 1940 in 20mm - A few extras to the French infantry. 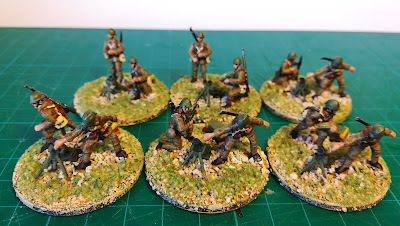 Up no now I managed to build six French Infantry Regiments for a DI 1940. 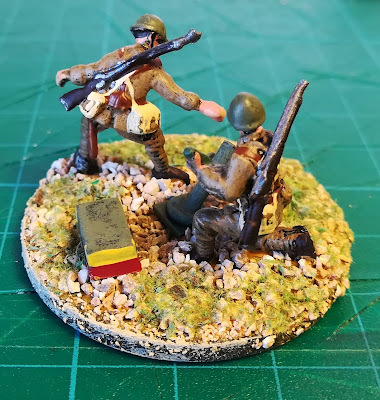 They were built many years ago with Airfix, Airfix copies and Revell miniatures and even some Japanese conversions that crossed half of the world to fight against Hitler (what?...). 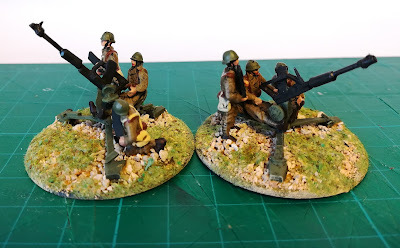 No AA though, no rifle grenades and no 60mm Brandt mortars on those days. This group of figures was made from more recent brands and to complete these missing bits. I ended by adding some horse transport aided by the unique GBM magazine information. The Fourgon Omnibus Mle 1887 was still in use in the French artillery park and was used for many different tasks. It can't fight but its a nice piece for bringing supplies or ammunition. More than 300 20mm CA 39 Oerlikon were present in France at the beginning of the war in more than 30 divisions, mostly infantry, as replacement of the 8mm Hotchkiss MMG's and as a way to ensure some AA protection while the heavier 25mm CA Hotchkiss weren't arriving in numbers. 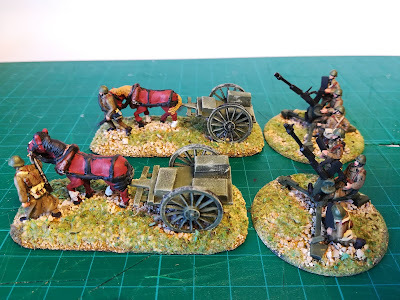 As most of the pieces in this post these ones are scratch built efforts. More on that a bit further ahead. 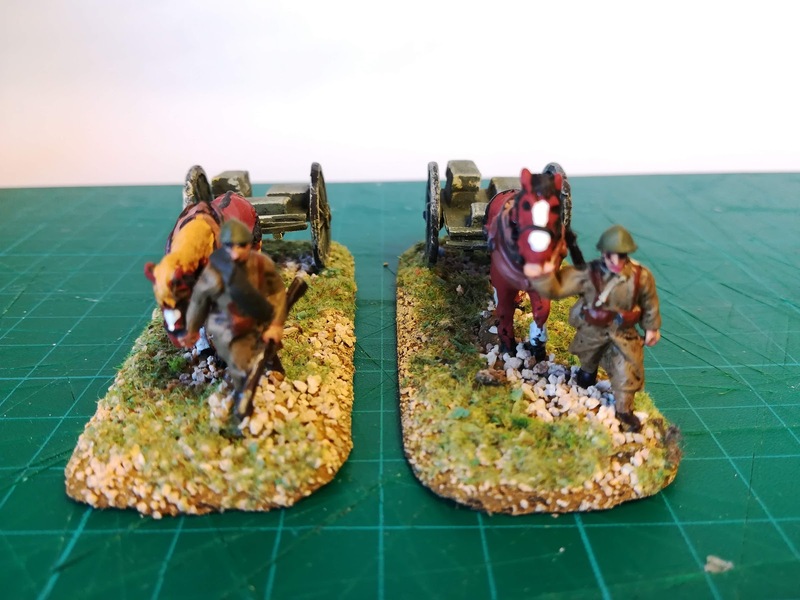 Also scratch built are the two Avant-Train to pull the AA guns. As usual the foot drivers are converted figures. 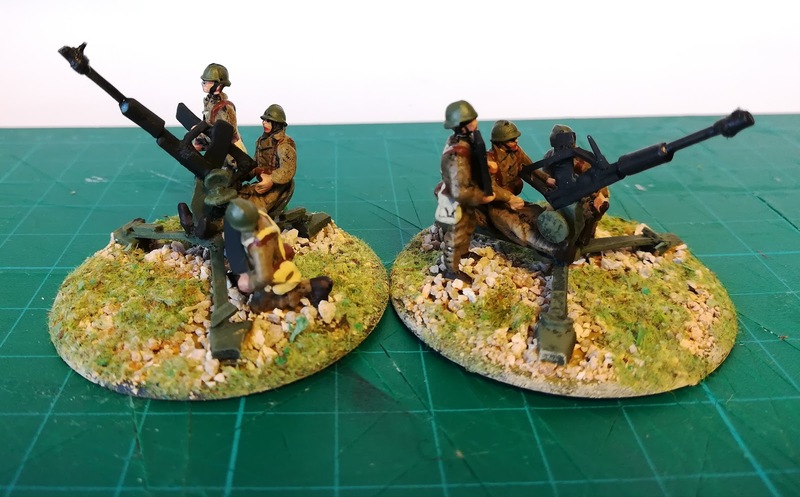 The 60mm mortars are a mix of scratch built tubes and the usual brands of figures. The plastic figures received metal rifles and were adapted to new functions. The rifle grenades launchers are clearly bigger than they should but I just couldn't find any thinner Evergreen tubing that I could drill in order to get them stuck in the rifle. Some pictures to show how these were done: The 20mm AA Oerlikon are scratch built as well as the limber. 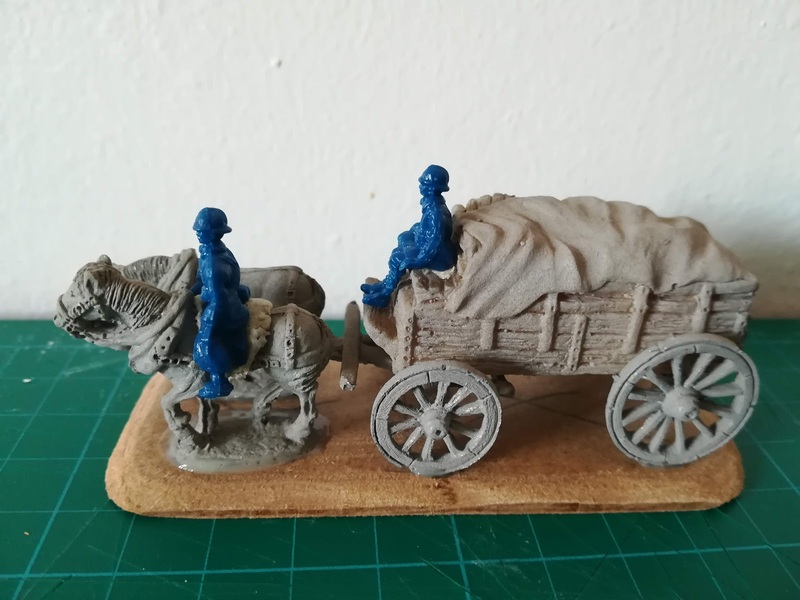 The towing horses are Britannia, the wheels are Hat and the structure of the limber is Evergreen plastic card. 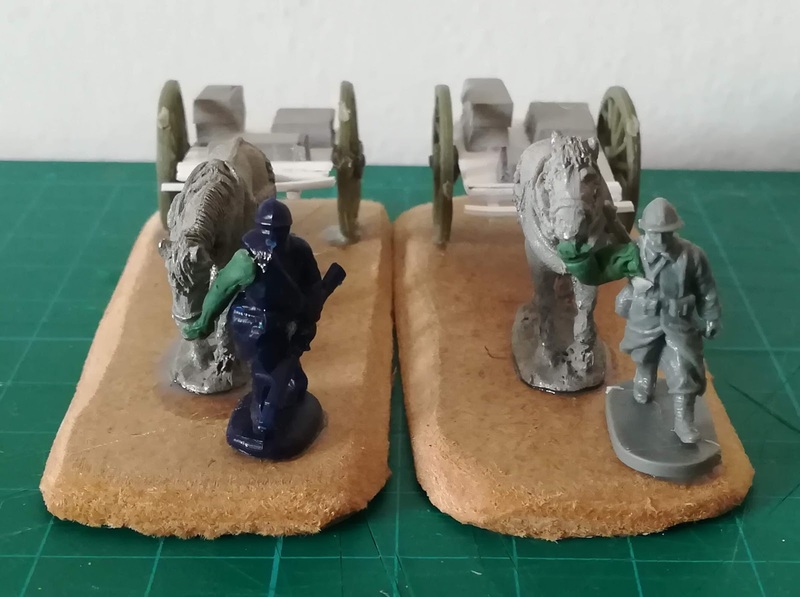 The drivers are the Revell WWI cornet and the Caesar marching figure. Both received new GreenStuff arms. 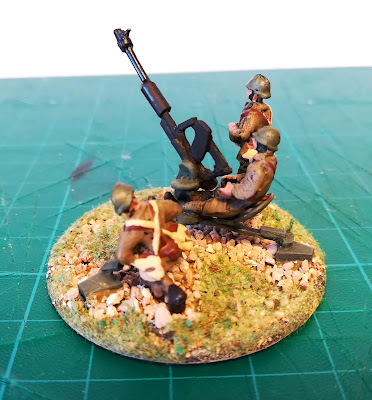 The guns started as Irregular Miniatures Type 89 Japanese 20mm gun. They were heavily transformed and lengthened mainly with Evergreen but also with some minor other materials. 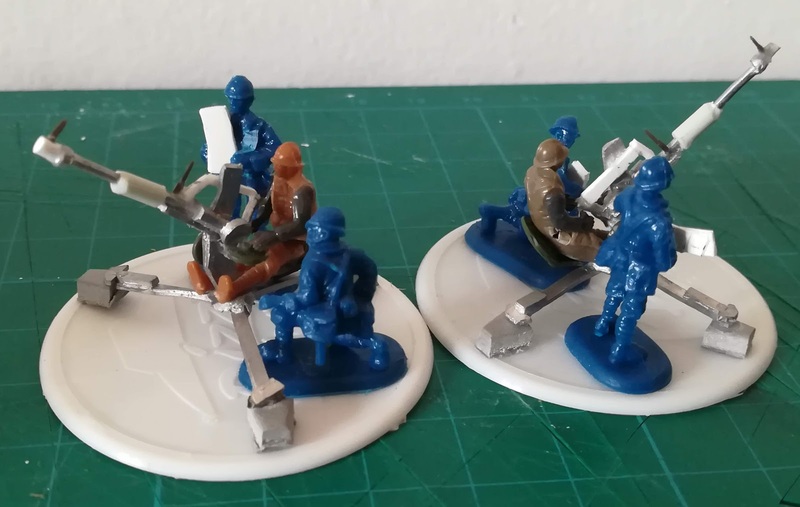 The seated crewmen are the Matchbox figures of the Char B1bis with new arms and with the torso bent with the heat of a lighter while the others are Hat. 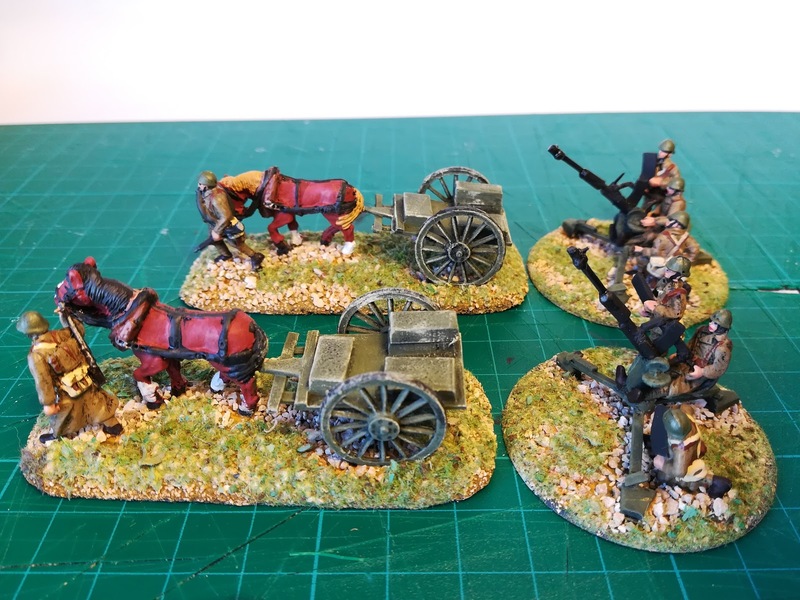 The 60mm Brandt mortars are also scratch built in Evergreen with Hat artillery men and Caesar with rifles from EWM. The horse cart is Britannia with Hat crew. 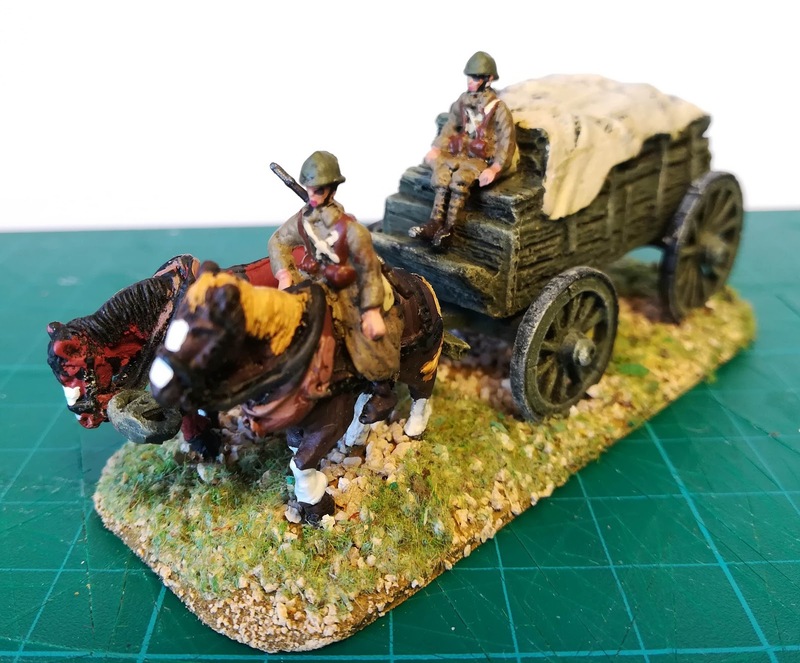 This model is from the WWI German range but suits well most early WWII European armies. 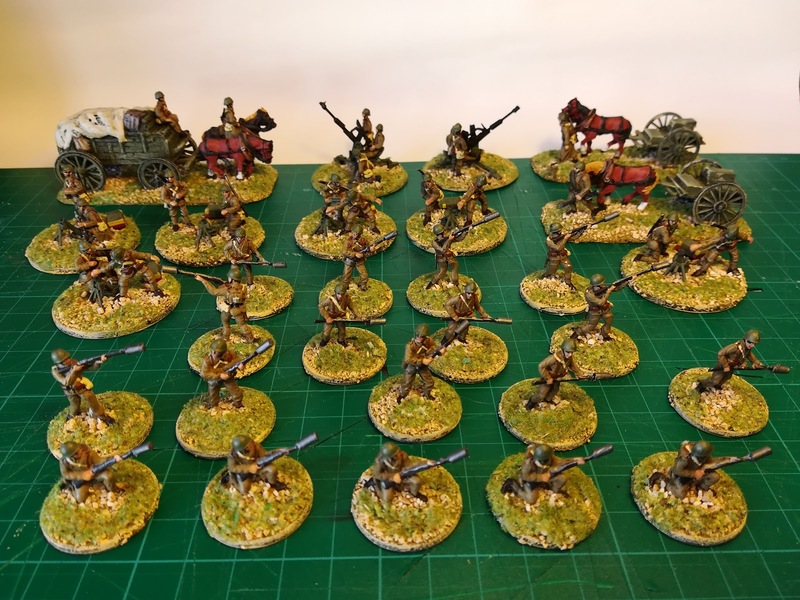 Next: The dismounted French cavalry for 1940 or more Blitzkrieg Germans. Labels: Blitzkrieg, Caesar Miniatures, France 1940, Hat industries, Miniature plastic conversion, Rapid Fire! They look great. I do like the work in progress pics too. 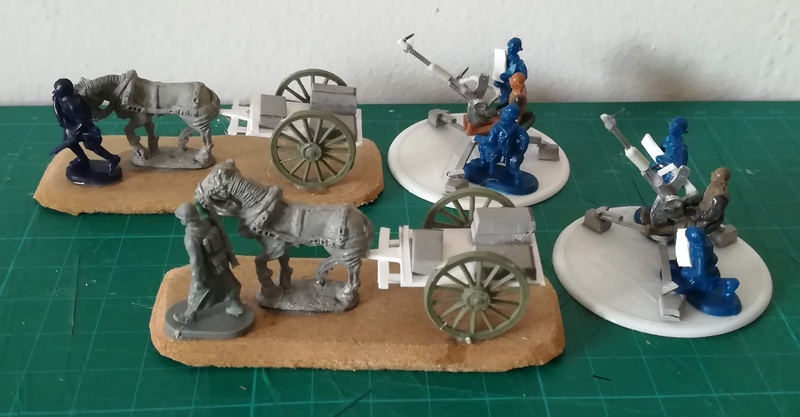 a bit pedantic but I just want to show how conversions can be easily done. Nice conversions and it is always interesting to see how you converted the figures before painting them. Thanks Peter. I also like to see the same in other works. Thanks a very useful set of conversions, I must get around to doing something similar. Thanks Will. Let's do it. Thanks Alistair. Glad you liked them.